Are you ready to feel vibrantly healthy? Let’s get started by incorporating naturopathic medicine and/or acupuncture services into your wellness routine for support with reaching your optimal state of health! 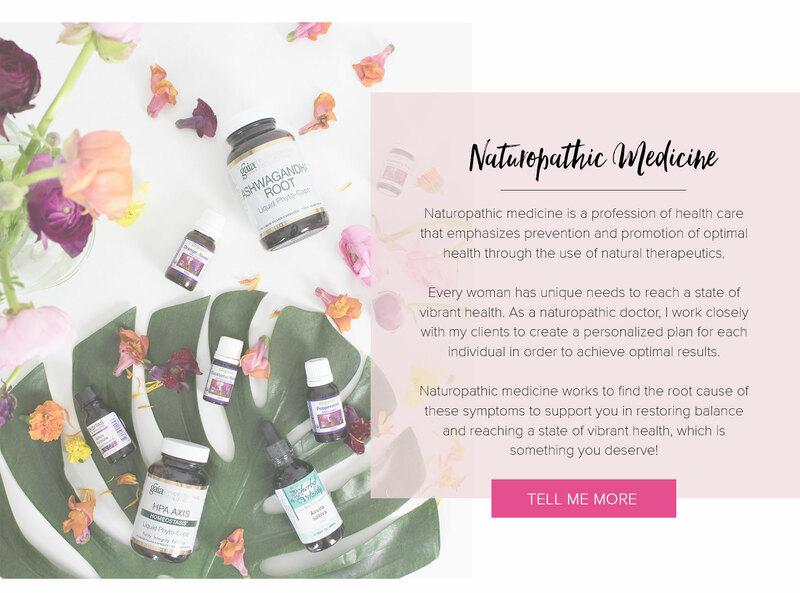 I am continually astounded by the noticeable benefits my clients see when incorporating naturopathic medicine practices and acupuncture into their lives, as do I in my own personal life. I commonly see improvements in energy levels, sleep, anxiety, headaches, digestion, and muscle tension. My clients often tell me that their symptoms have been present for years and they were never offered a long-term solution or opportunity to discover the root cause of their disease. Naturopathic medicine and acupuncture provide a path to discover the underlying cause of conditions, resolve symptoms, and restore a state of balance and health. and get you back to being your most vibrant self! A few other ways we can work together and get you back to being your most vibrant self!